In Eastern Oregon, we value the beautiful landscape and take pride in what we grow and make. When you meet us while roaming our back roads and byways, wave back. It’s an old and enduring tradition around here. Driving through the golden rolling landscape of Eastern Oregon’s Umatilla County, it’s easy to bypass the tasty handcrafted products rooted in these grain- and fruit-growing farmlands. But the new Whisky & Rocks Farm Loop self-guided tour ensures you encounter the latest crop of winemakers, distillers, brewers, farmers, cheesemakers and chocolatiers — and taste their homegrown offerings. Make sure to print out a map of the loop, with descriptions of all the stops, before you go. Skirting the forested Blue Mountains, the 30-mile main route connects the communities of wine-rich Milton-Freewater and rodeo-famous Pendleton. It highlights independent producers who operate seasonally, and often by appointment, so call ahead for a full taste of rural life. On the Oregon side of the Walla Walla Valley, Milton-Freewater is not only the region’s newest grape-growing region called The Rocks District (established in 2015), but also a jumping-off point for a backroads loop through new vineyards, heirloom orchards and historic homesteads. Milton-Freewater, 30 minutes northeast of Pendleton, now has its very own American Viticultural Area (AVA), distinguished by the fan-shaped deposit of large basalt rocks in the southern Walla Walla Valley. Taste the terroir in Wild Z red and Wild White, among other award-winning varietals at Zerba Cellars. Watermill Winery pours their certified sustainable wines during regular hours for drop-ins. At Don Carlo Vineyard, winemaker Lori Kennedy has bottled in the footsteps of her grandfather, Carlo, since 2007. Call ahead and stop in to sip just steps from the vineyard while Tim Kennedy (formerly of Tim’s Cascade Style Potato Chips) serves hot chips with parmesan. Back downtown, expand your wine appreciation at the chic shop Petits Noirs. 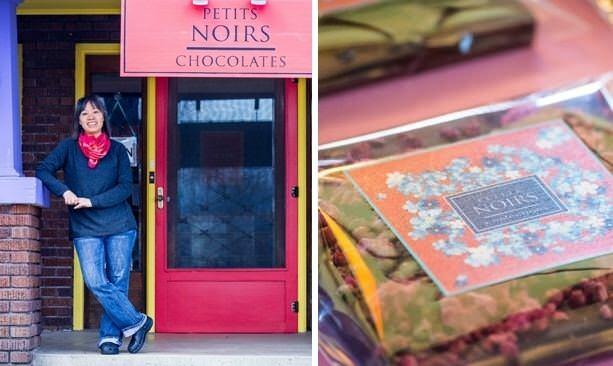 Founded in 2006 by Lan Wong, a wine-pairing expert, Petits Noirs’ truffles and “tiles” — large square chocolates — with oak, rosemary and other nuances complement the area’s world-class wines. While at Watermill, also try the hard cider from a family of orchardists, Blue Mountain Cider Company. These cheese- and food-friendly beverages are pressed from fresh apples only, and there are seasonal ciders from peach, raspberry and cranberry. Beer lovers won’t feel left out at Dragon’s Gate Brewery, a passion project by Jennifer and Adam Gregory. Both produce the Belgian-style farmhouse ales using estate-grown hops. They’re so popular that the Saturday tastings (noon-5 p.m.) regularly sell out. The taps rotate from among 30 small-batch and bottle-conditioned ales, including fruit-infused and barrel-aged. 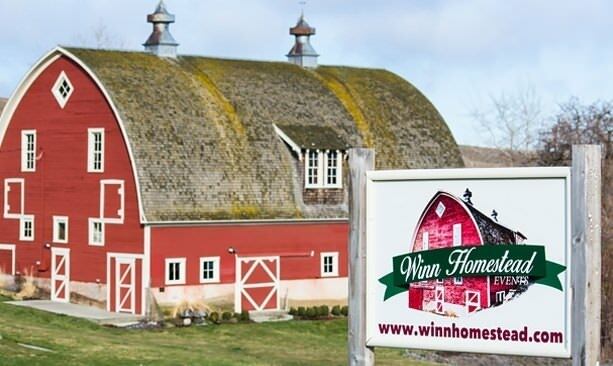 Just off Oregon State Highway 11 is a postcard-perfect 1916 barn at Winn Homestead. On the National Register of Historic Places, this barn once housed dairy cows, but now hosts weddings and special events. The public can peek in by appointment. Situated in the shadows of the Milton-Freewater grain elevator, the Frazier Farmstead Museum is the former home of four generations of an Oregon Trail family. Tour rooms that appear to be frozen in time, including the toy-filled kids’ room, sitting room and antique kitchen. 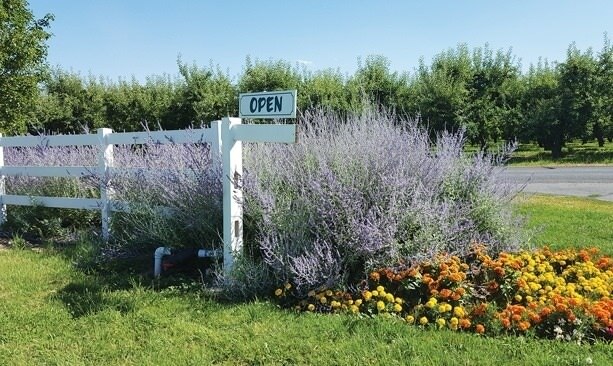 Six acres of grounds display farming antiques, barns and a rustic pioneer cabin set along the river to explore. There’s a u-pick fruit bonanza throughout the valley, which kicks off in June with berries at Lampson Blueberries and Morningstar Berry Farm, peaks in August with peaches from M&D Farms and closes out with fall apples at Davis Orchards. On the last working dairy farm in Milton-Freewater, the Carroll family turns pastured milk into Umapine Creamery artisan cheeses. The dairy is open for tours of the cheese making, tastes for the 20-plus flavors of gouda and havarti, and the dairy operation, including at milking time. 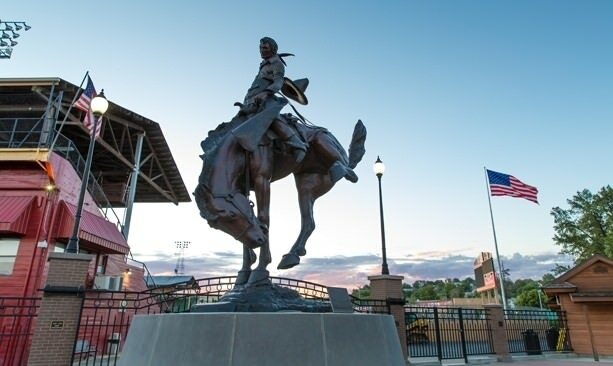 Downtown Pendleton serves up a full dose of cowboy culture, from the world-famous rodeo grounds and boutiques to the food and drink, featuring a brand-new distillery with spirits produced from grains grown just beyond the city limits. Some of the Pendleton sites along the Whisky & Rocks Farm Loop focus less on edible agriculture and more on the farm-based roots of the region’s land and people. Memorabilia at the Pendleton Round-Up and Happy Canyon Hall of Fame honors former rodeo stars, Native Americans and livestock over the 100-plus-year history. The shops downtown exhibit the range of handcrafted leather goods, including hats, saddles, hand-carved cowboy boots from Stapleman Boots and custom-made purses and belts from 23+. Don’t forget a stop at the iconic Pendleton Woolen Mills — the site of the region’s wool-shipping center dating from 1893 — which gives tours and sells woolen clothing and the iconic woven blankets. While in town, feast your eyes on the stately 18th-century bars at Hamley Steakhouse, a museum-quality restoration that includes two saloons and wine cellar. 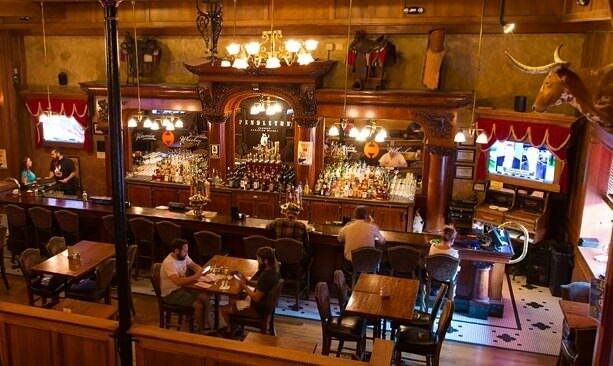 Pendleton’s original craft microbrewery, Prodigal Son Brewery & Pub, serves homemade fare in a casual roadhouse atmosphere. Across the street, sample mini-housemade cocktails from Pendleton’s first distillery: Oregon Grain Growers Brand Distillery, which opened in November 2016 in a former auto dealership. While you wait for the whisky to age, they are producing vodka from local hard red wheat and corn whiskey from organic white corn. New spirits in the works include Hermiston watermelon and chili pepper vodka, and coffee liqueur from local roaster Buckin’ Bean.